The Table Talk of Martin Luther By Martin Luther Audiobook Download - Christian audiobooks. Try us free. “The Bible is alive,” declared Martin Luther, “it speaks to me; it has feet, it runs after me; it has hands, it lays hold of me.” The Protestant Reformation’s seminal leader possessed a gift for evocative speech, and he was as articulate and outspoken in private as he was in public. Fortunately for posterity, some of Luther’s loyal followers took note of his informal speeches. The Table Talk of Martin Luther consists of excerpts from the great reformer’s conversations with his students and colleagues, in which he comments on life, the church, and the Bible. 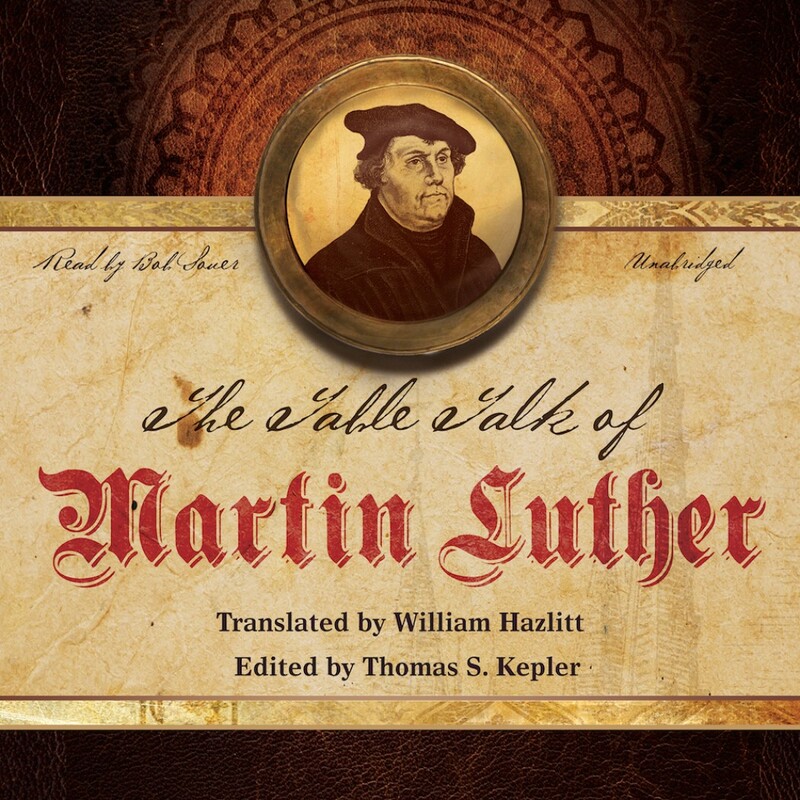 Collected by Johannes Aurifaber, Anton Lauterbach, and other close associates of Luther, these absorbing anecdotes reveal the speaker’s personality and wisdom. This text is based on the English translation by lawyer and author William Hazlitt, son of the celebrated essayist.